The former Governor of the Bank of Albania, Ardian Fullani, has been appointed a member of the Central Bank Advisory Board of Montenegro. The composition of this board, made of 11 members, is approved in September last year. Montenegrin daily "Vijesti", in the news of the appointment of Fullani, recalls the fact that he was accused in Albania. "The Montenegrin Central Bank Governor Radoje Zugic appointed as a member of the Bank Advisory Board, the former Bank of Albania governor Arian Fullani, who was dismissed in his state and was arrested because of the Bank of Albania's vault disappeared 713 million lek", writes Vijesti. 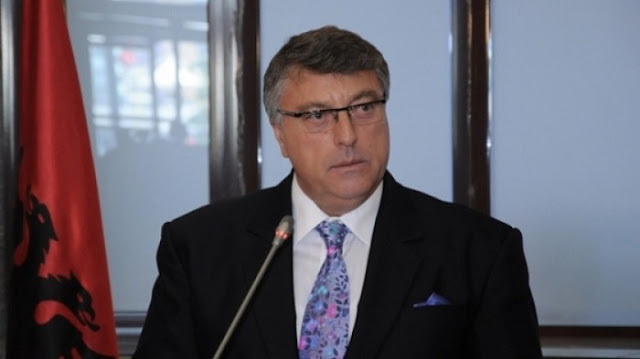 The Montenegrin Governor has refused to answer the question of the newspaper if Fullani's appointment to this post will affect the credibility of the Bank of Montenegro. Ardian Fullani was acquitted of all charges related to the disappearance of 713 million lek out of the Bank of Albania's vault.